So, day one of my $2 a day challenge started well. I had my menu plan, I had started cooking. Just one problem: I was hungry. I thought I had it all figured. I was pretty smug, actually. Baked a loaf of oat and carrot sourdough bread the night before. 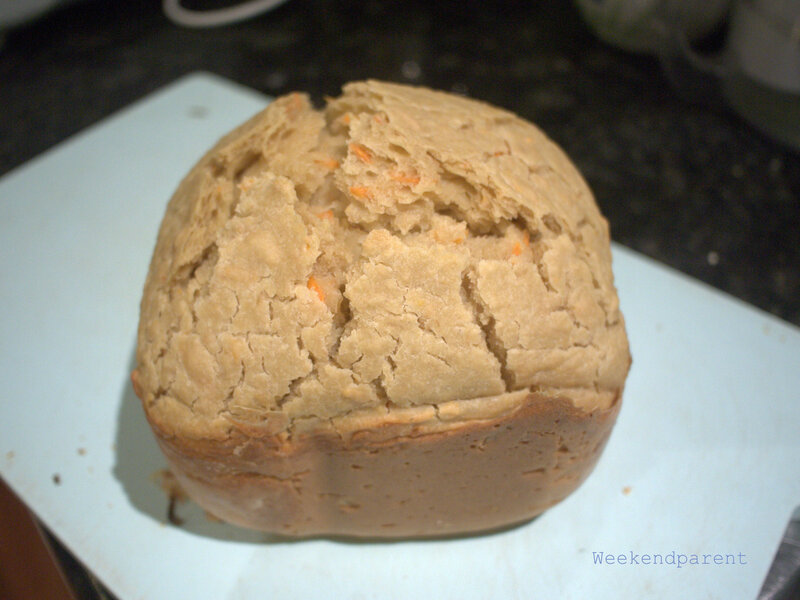 It wasn’t my best bread making effort – a bit hard and sour – but it was dense and nutritious. I had a small slice for breakfast, and cut three thick slices for lunch (which I had toasted with butter and tomato). 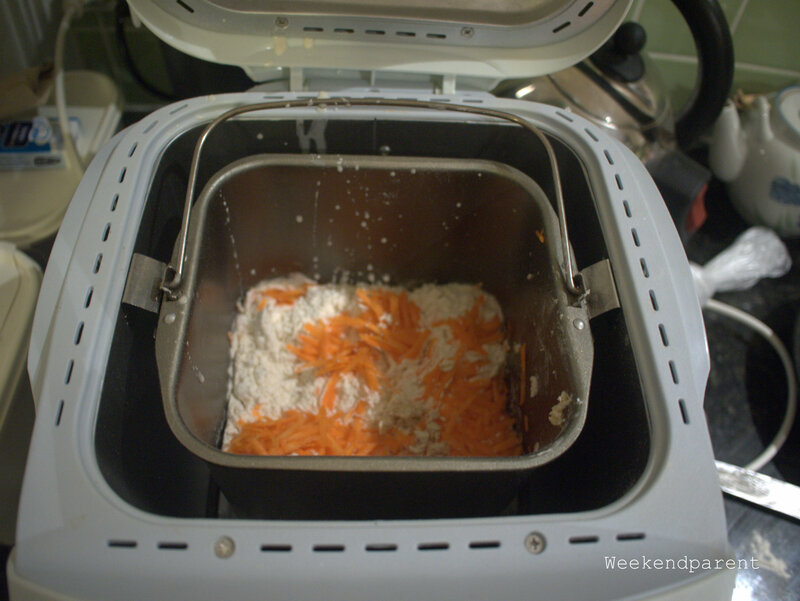 I combined in the breadmaker and cooked on basic. I think it would have worked better with a longer rise time, i.e. on the French setting. Breakfast was porridge with sugar (no milk) made from 1/2 cup of rolled oats. It was a larger serve than I would normally have. Afternoon tea was one small apple. On paper this looked fine, but in reality I was starving. Ravenous. Hard to concentrate at work by mid-afternoon. It didn’t help that I had a formal lunch to go to. I didn’t eat, but sat next to people as they ate a huge plate of roast pork with crackling, gravy and apple sauce. I am not usually a roast pork fan, but it smelled soooooo good. I had grand plans for dinner, but by the time I got the kids fed (no, I am not putting my young children on the challenge) there was little time for an elaborate dinner. 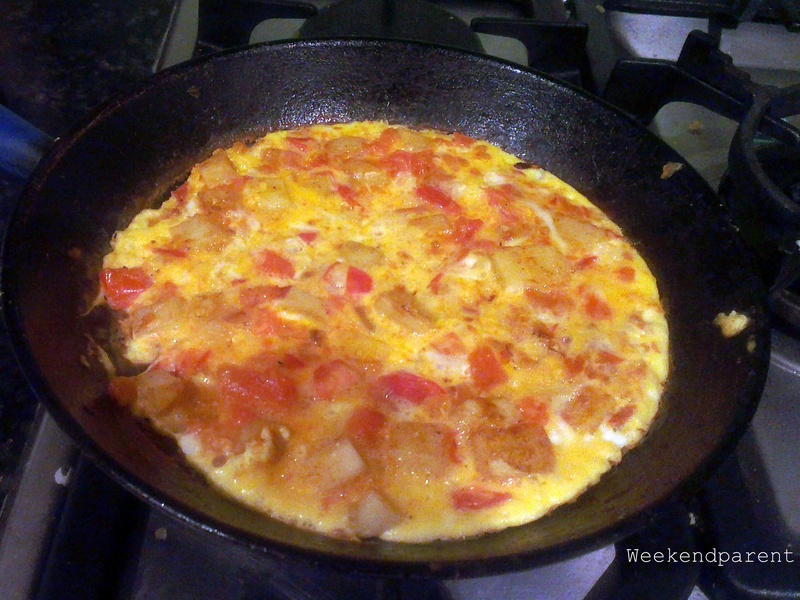 So I made myself a simple Spanish-style omelette with potato and tomato. Tasted quite good, actually. I estimate that the omelette cost around $0.79 to make, mainly because it used two eggs. So happy to finally eat it. After dinner I made a batch of soup and a caramalised onion tart for lunch. Today I will be better prepared at work. And I guess my stomach will get used to eating less food, too. You are an incredible woman to be doing this. I find it exhausting enough trying to juggle two toddlers, work and feeding them healthy food.. let alone trying to do it under $2 a day. Maybe I will try it next year when hubby is home to help. I’d have to be so careful planning my week… My go to dinners tend to be expensive. Cutlets are just so easy! Thanks for your comment. One thing at a time. I do admit to feeling tired and a bit stressed after day one. But by day two it got better.